A new leak has named the rumored AMD APU that will power the next generation consoles as Gonzalo. Many speculate that the Gonzalo APU will be used in both the PlayStation 5 (PS5) and next-generation Xbox (Xbox Scarlett). The APU will be built on a 7 nm Zen 2 CPU and a Navi-based GPU. These rumors fortify the belief that AMD will once again be the sole CPU and GPU manufacturer for the major players of the next console generation. As such, AMD stands to enjoy continued financial success from the console market. Sony's PlayStation 4 (PS4) and Microsoft's Xbox One (XBONE) have seen huge sales numbers this console generation, surpassing 90 million and 30 million units, respectively. The PlayStation 5 (PS5) and next-generation Xbox are on the horizon, and it's likely they will enjoy as much (if not more) success as their predecessors, but there's one player poised to reap the greatest benefit, and it's not who you think it is. Recent rumors point to AMD as the sole company behind the CPUs and GPUs that will be used in the next generation of consoles. We reported earlier this week about speculation that the PS5 would be powered by an 8 core Zen+ CPU and a 1.0 GHz Navi-based GPU. Thanks to noted leaker TUM_APISAK, we now have a name for the APU that might power Microsoft’s and Sony’s next consoles: Gonzalo. Gonzalo is rumored to feature an 8-core CPU clocked anywhere between 1.6-3.2 GHz. 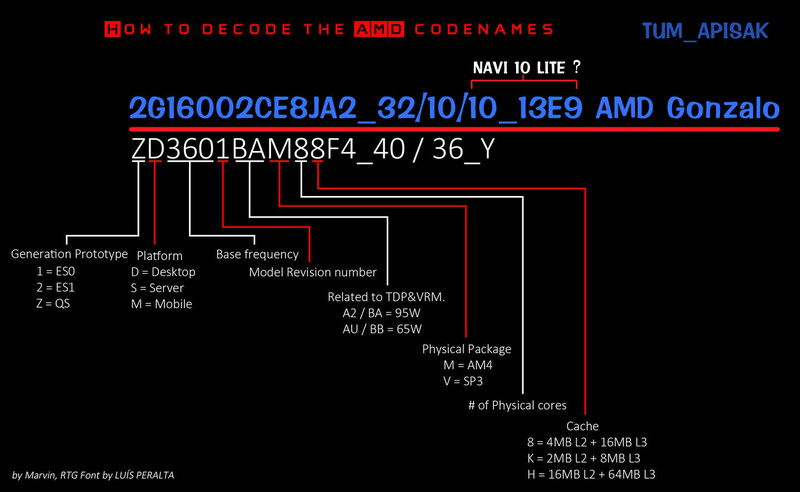 The processor will have 8 MB of L3 cache, which is fairly common for AMD’s Zen architecture. The graphics side of the APU will feature some variant of Navi likely modified for lower power draw and thermal output. The main draw here is that Gonzalo is widely believed to use AMD’s Zen 2 architecture, which would mean a 7 nm process is on the table. That would theoretically give huge compute and graphical boosts to the PS5 and next-gen Xbox; a smaller transistor size would mean better IPC for less power. Whether or not the specifications turn out to be true, AMD stands to win big from the console market yet again. The company was the sole manufacturer of CPU and GPU hardware for the PS4, PS4 Pro, Xbox One, and Xbox One X. The Jaguar APU beating at the heart of those consoles was a huge financial win for AMD, and the next generation looks no different. Aside from the specific details of the chips that will be used in the PS5 and next-gen Xbox, multiple sources have all but confirmed that AMD will be making them. If sales of the PS5 and next-gen Xbox are anything like Sony and Microsoft have seen over the past 5 years, AMD stands to make a killing once again.